Added by Indo American News on July 30, 2018. Monsoon is finally here in India, arriving earlier than what was previously estimated; so what are the monsoon destinations? The month of June marks the beginning of rains here as the southwest monsoon hits the southern state of Kerala. Wet earth and washed trees mark this period of the year, as earthworms wriggle through soil. The sight of rainfall almost always warranties a sense of melancholy, as we take shelter indoors. But not all parts of India receive the same amount of rain, and so this monsoon season you might as well go chasing the monsoon through various parts of India. 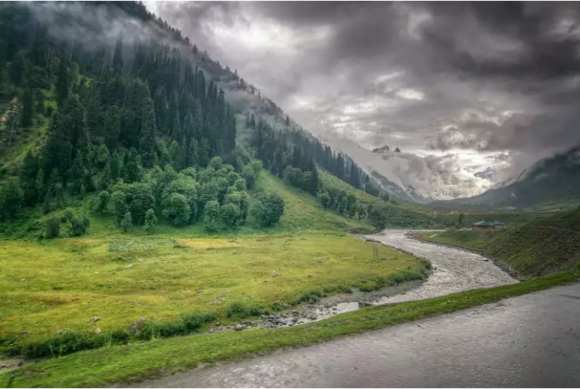 If you are looking to go on a vacation this monsoon season, do take a look at the incredibly beautiful monsoon destinations to choose from.